he Lithuanian parliament endorsed on Tuesday the programme of the new coalition government of the Peasant and Green Union and the Social Democratic Party. The program, called "Sustainable Lithuania", was approved in a vote of 86 to three with 40 abstentions. The 17th government's programme gives a special focus on social issues, such as complete support for the family, the promotion of child adoption, the protection of children's rights, the fight against violence and pro-birth policies. The government also pledges to make efforts to reduce alcohol and tobacco access, to seek increased responsibility for corruption crimes and to cut down on the number of state institutions. 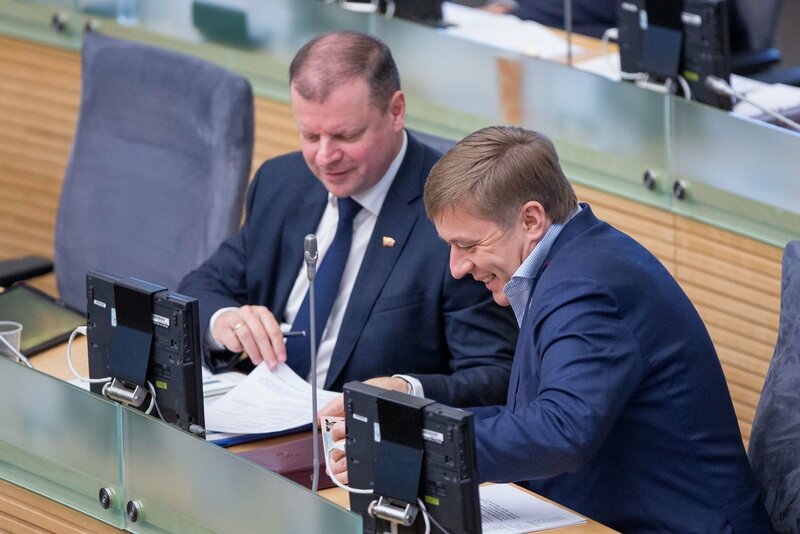 It also proposes to move parliamentary elections from autumn to the start of the year, to legalize dual citizenship and electronic voting, to relocate the ministries for environment and agriculture to Kaunas, and to prohibit parliamentarians from holding ministerial posts. Parliamentary opposition parties criticize the program as too vague and say that it does not include a significant part of the coalition parties' pre-election promises, lacks political leadership and fails to set a clear direction for the new government. Will the “Peasants” keep their promises to voters?